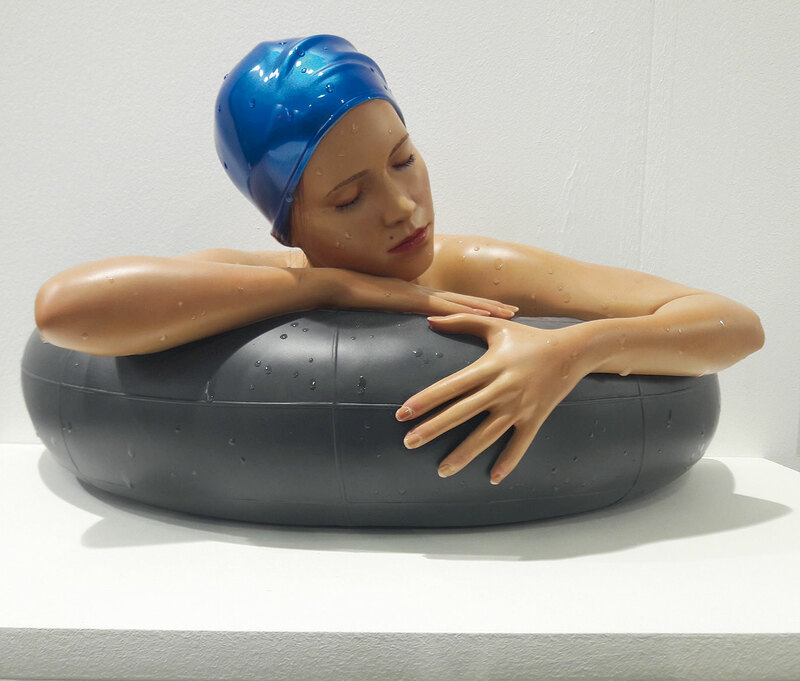 Some art fairs, among a surfeit of those worldwide, are particularly well-known and point the way to the future. 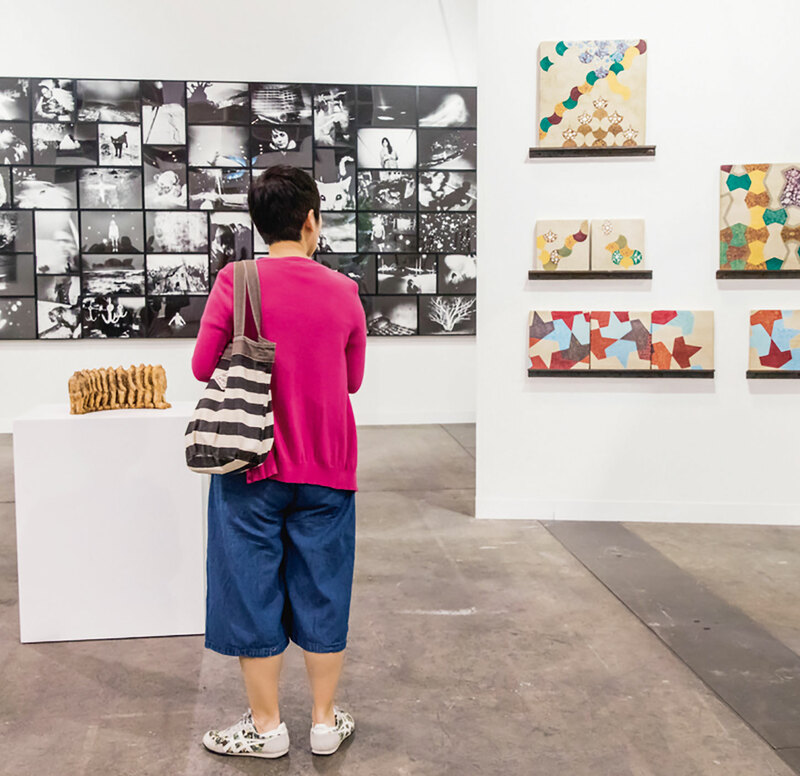 Gallerist Heidi Erdmann visits one of the key entrants, Art Basel Hong Kong, which is benefitting from the booming Asian market. 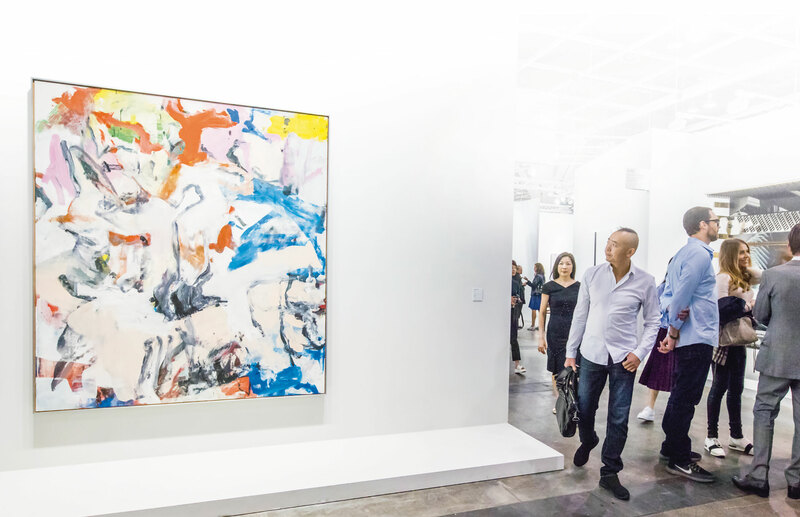 Within hours of Art Basel’s private-view session on Tuesday 27 March, news broke of the sale of Willem de Kooning’s painting Untitled XIII (1975). With a price tag of $35 million, it was the biggest sale made at the fair since its inception six years ago. News of this transaction dominated the talk in the hallowed corridors and halls of the Hong Kong Convention Centre where the fair took place, with the greatest speculation about the identity of its new owner. 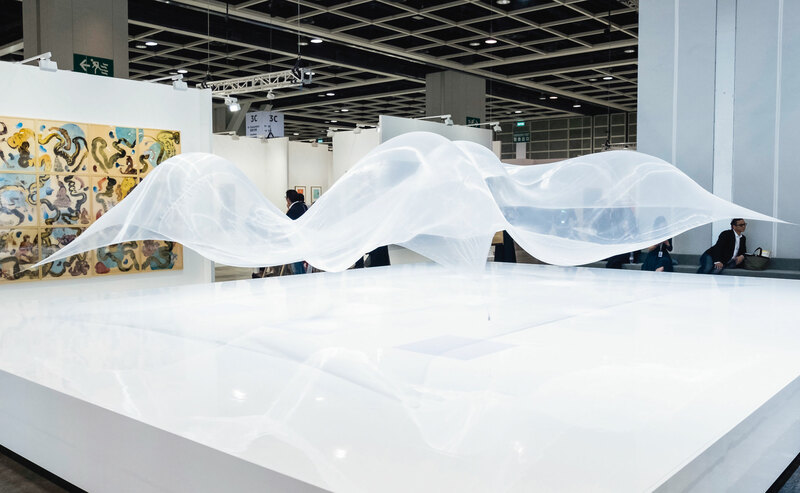 Art Week in Hong Kong kicked off on 26 March; until 31 March Hong Kong was the centre of the art world, the freshest cherry on the cake. Art Basel isn’t the only “show” in town. There is also Art Central – launched in 2015, housed in huge custom designed temporary marquees, with bouncy floorboards. 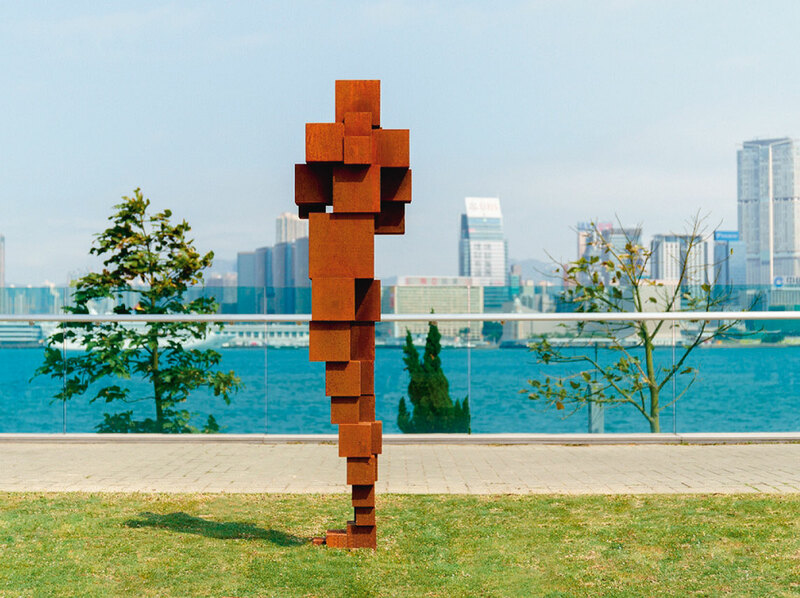 Art Central is hosted on the Harbour Front of Hong Kong’s Central district. 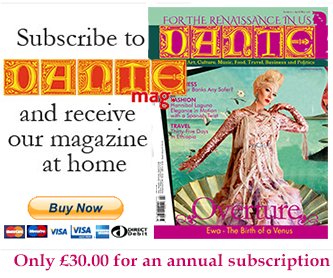 It is a fraction of the size of the Basel brand but a match in quality and variety of artwork on offer. According to its website, the 2018 edition had its highest ever attendance of 39,041 visitors. The two fairs are walking distance apart. 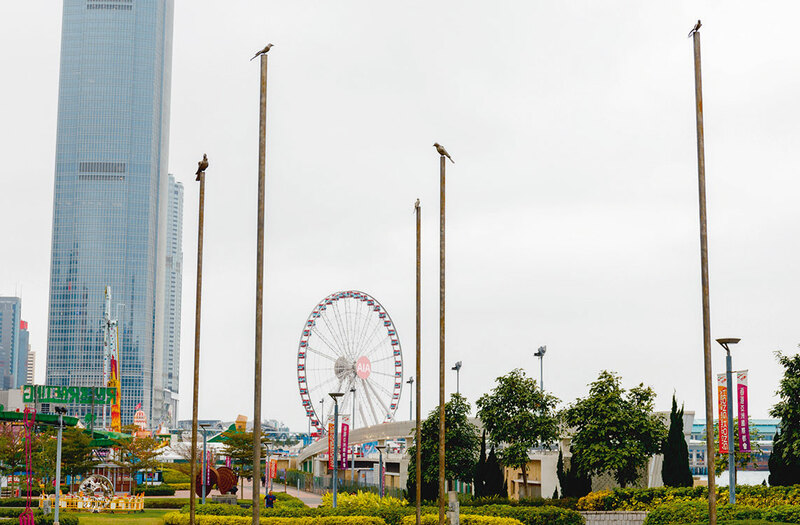 This year, in between the two venues, was a temporary installation of 22 commissioned outdoor sculptures. 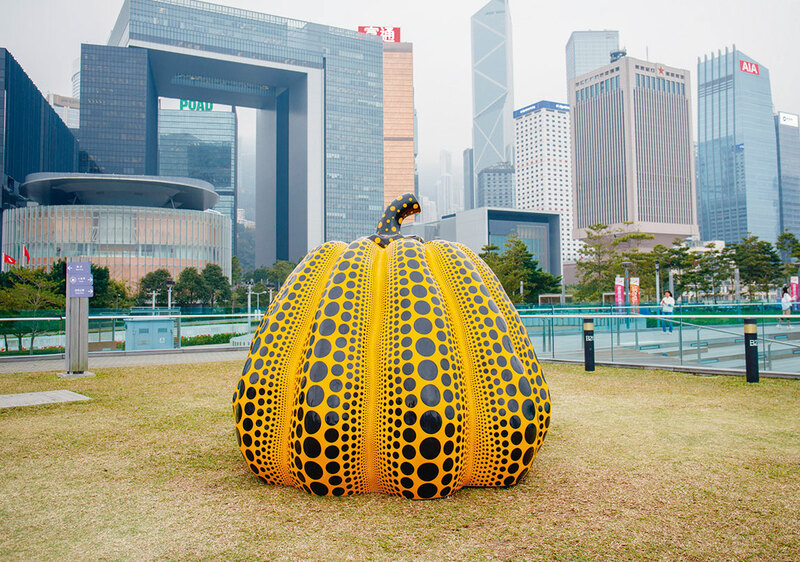 Yayoi Kusama’s bright-orange psychedelic pumpkin and Antony Gormley’s life-size male figure were recognizable from a distance. Tracey Emin’s quiet contribution, A Moment Without You (2017) with a bird, perched on each of the five thin bronze columns was a personal favourite. Hong Kong-based artist Kingsley Ng’s latest collaborative piece, Secret Garden, was hosted at the Hong Kong Visual Art Centre (HKVAC). 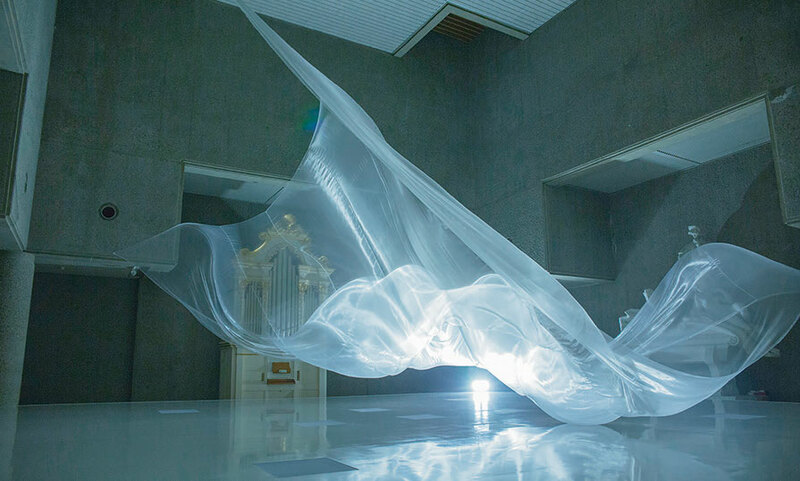 It was described as “an immersive orchestration of scenographic installations, light and sound in the former Victoria Barracks, to be set in motion by a wandering audience”. It lived up to every promise made in the brochure. 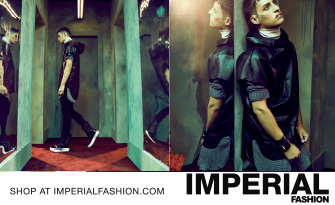 It was indeed “a multi-sensory experiential journey” presented in a well suited and totally optimized site. Ng is definitely a master of the site-specific intervention. Last year his mobile tram installation, Twenty Five Minutes Older, was a non-interruptible experience. This year he says of his latest project: “In contrast to the more conventional, static appreciation of art, the journey is largely shaped by the spectators themselves who bring in their own experiences and expectations as stimuli to the imagination”. At one point in the journey, we, the audience, or rather, the participants walked through a long, broad dimly lit passage with glass windows on one side. On the outside was a brightly lit play park, a smattering of children running around, shouting and kicking balls; elsewhere people were making use of the permanently installed exercise equipment while others were just sitting on benches, chatting. I thought, for a moment, that it was part of Ng’s orchestration, a re-enactment of an ordinary scene, but then realized that this was real life in motion. Had Ng and his team cleverly and purposefully incorporated this adjacent public play park into the experience? Walking from the HKVAC to Dim Sum Library at Pacific Place in Admiralty takes one through Hong Kong Park. 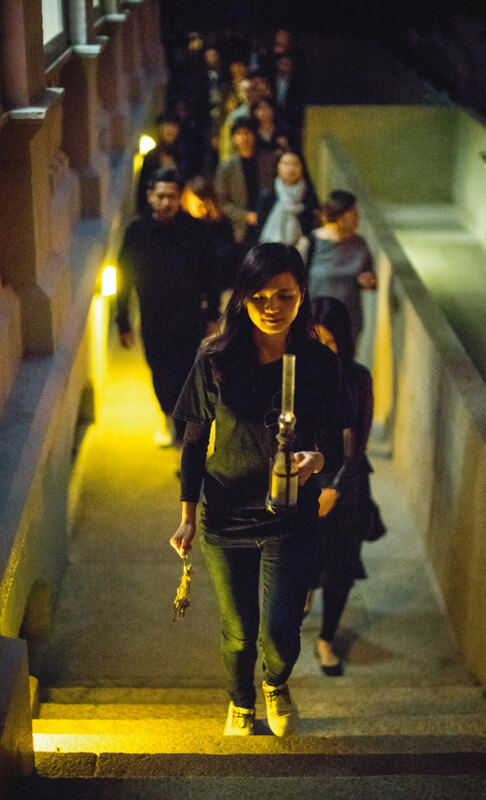 It felt like an extension of Ng’s Secret Garden and particularly because I was carrying a piece of this project in my bag – participants are given a small glass container filled with alfalfa seeds; shaped into a ball by one’s own hand. It was too dark to fully appreciate this park; it is an 80,000 square metre green lung in the heart of this island. Dim Sum Library is Hong Kong’s latest eating phenomenon and for good reason; the food is outstanding. Back at Art Basel, Shinji Ohmaki’s Liminal Air-Space-Time (2018), part of the Encounters sector, was my highlight of the entire art fair. 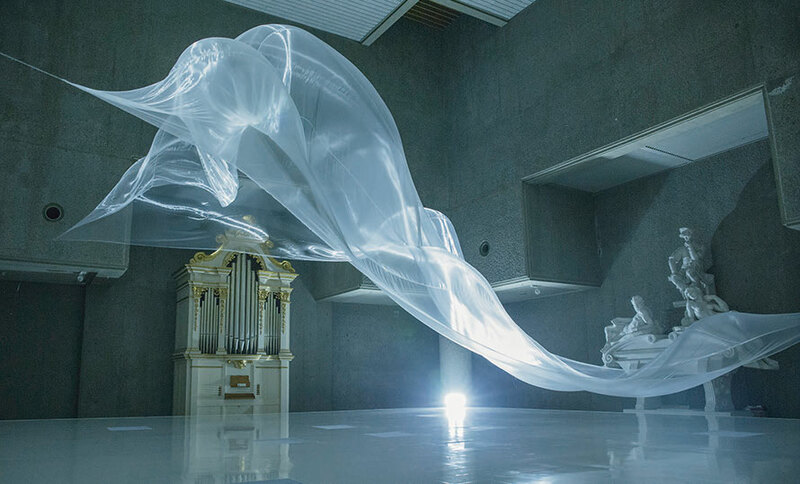 I was mesmerized by the simplicity of this silky cloth which floated in the air in a continuous shape-changing motion, a stark reminder of the fragility of our existence. 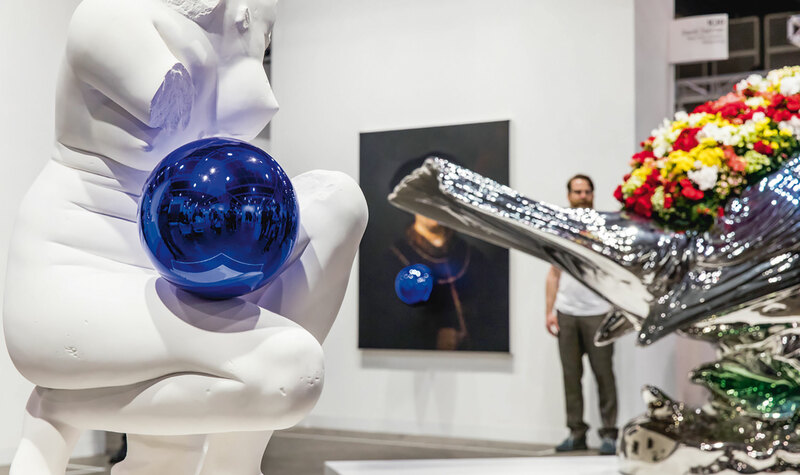 Sophia Al-Maria’s Mirror Cookie (2018) was touted as a must-see installation at the fair, but left me totally unmoved, as did everything produced by Jeff Koons, particularly the Gazing Ball series at David Zwirner’s booth. Taka Ishii Gallery from Japan presented the most sublime collection of photographs titled Tokyo Story; amongst them photographs by Nobuyoshi Araki, Daido Moriyama, Eikoh Hosoe, Shomei Tomatsu, Ed van der Elsken and Wim Wenders. It was a thoughtful booth design; entering this sparsely installed space it felt like entering a sanctuary, cut off from the constantly moving masses flowing down the corridor like a slow-flowing river. Experimenter Gallery from Kolkata presented the work of Sohrab Hura, a young Indian photographer from Chinsurah in West Bengal. His powerful black and white grainy images, cinematic and highly atmospheric were mostly of a woman, a dog and random interior and exterior shots. The narrative becomes evident while viewing the series; picture by picture. From 2005 to 2011 Hura captured the slow demise of his mother after her diagnosis with paranoid schizophrenia. Life is Elsewhere is a raw, honest and beautiful series, and Hura an exciting talent to watch. Hura’s title also rings true for the fair itself, because the city’s gallery community rises to the occasion. The new gallery hub is the H Queen Building, an impressive 24-storey tower in Central and the latest addition to this city’s densely packed skyline. The list of artists exhibited in this building during art-week included Ai Wei Wei at Tang Contemporary Art; Wolfgang Tillman at David Zwiner; Mark Bradford at Hauser & Wirth; Yoshitomo Nara at Pace Gallery; Xiao Xu at Galerie Ora-Ora; and Arcangelo Sassolino at Pearl Lam Galleries. 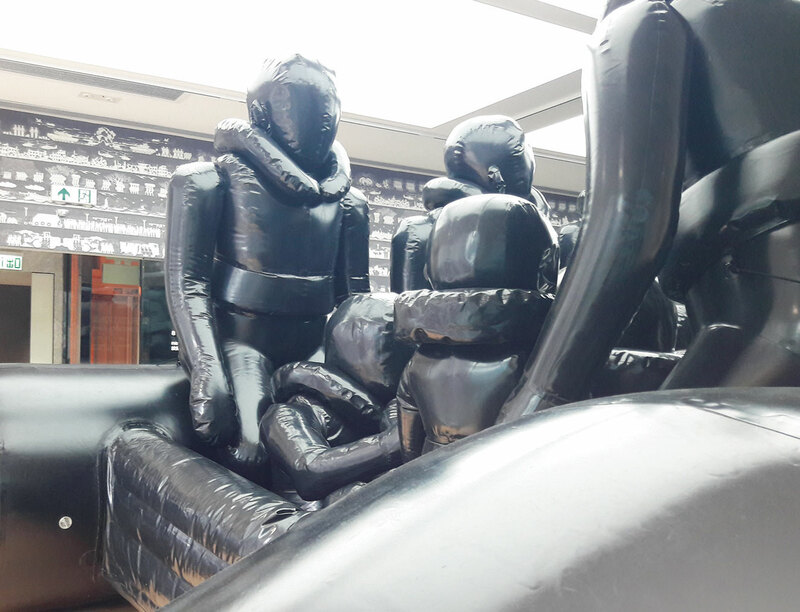 Ai’s Refutation exhibition included a cast of a dinghy filled with refugees. It was reported in the media that Ai did not personally oversee the installation of the exhibition, nor has he been to Tang Contemporary Art’s brand new gallery space. Law of the Journey (2017) felt proportionally too large for the exhibition room; it left very little space around the work, therefore forcing audiences to crowd around the object. An alternative observation is that it was intentional – to heighten one’s own engagement with the refugee crisis. How can we, as observers, participate? There was no shortage of talks on offer at both the art fairs. Budi Tek, the founder of the Yuz Museum and Foundation in Shanghai, was listed as a panellist at a talk about the future of museums. This event was courtesy of the secondary market and hosted at Sotheby’s viewing rooms at the Convention Centre. Ill health kept Tek away but he shared his breaking news via a video link. Tek, who owns both a large collection of Chinese contemporary works and an extensive non-Chinese collection, announced that he will donate most of his collection to a joint foundation established in partnership with Los Angeles County Museum of Art (Lacma). Micheal Govan, Lacma director, beamed during the announcement. Indeed, what a scoop for his museum and for the city of Los Angeles, courtesy of an Indonesian-Chinese philanthropist. I never saw the Willem de Kooning painting at Art Basel, but I did see a serious looking security official stationed inside a booth which must have been Lévy Gorvy’s booth, the gallery which made the sale. 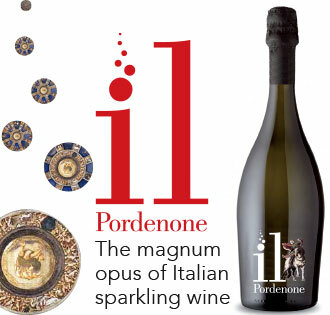 It is not surprising, since its value was now suddenly real. If the new owner of De Kooning’s painting is Asian, as is the speculation, it confirms the great depth of pocket of Asia’s collector-base and explains the increasing proliferation of American and European owned galleries with branches in the city. Hong Kong is clearly Asia Pacific’s cultural hub, and its tax free status makes it a win-win situation for both buyer and seller. And it is not just the primary market that is thriving here; Sotheby’s and Christie’s are achieving record-breaking sales. In this vibrant city with its dazzling skyline, there is only one direction – and that is up.